Women experience joint pain during pregnancy for a variety of reasons. To prevent it, you need to tune into your body and honor the work it is doing to build a healthy baby. The first reason is that relaxin, a hormone your body releases when you are pregnant softens your tendons and ligaments so that your baby can pass thru your birth canal and be born. Unfortunately, while you really only need the tendons and ligaments in your pelvis to be able to stretch easily, relaxin effects all of the tendons and ligament in your body. As a result, your joints don’t stay in alignment as nicely when you are pregnant. This is one of the reasons we caution against high impact exercise when you are pregnant since the misalignment of joints during high impact activities can cause permanent damage to joints like your knees, for example. You also must be cautious during stretching activities since over-stretching your relaxin influenced muscles and tendons repeatedly may cause damage. The second reason that women experience joint pain during pregnancy is due to weigh gain. We aren’t saying you shouldn’t gain weight. You should! And we have a whole slew of pregnancy diet recommendations that will help you gain the perfect amount of weight. Still, the additional weight caused by pregnancy puts additional stress on the joints in your feet, ankles, knees, hips and lower back. Your hips, in particular may become painful because that angle that they are used to being at when you stand and walk changes as your pelvis loosens, your baby grows and your baby’s head drops in preparation for birth. According to the Centers for Disease Control (CDC), the MMR vaccine causes joint pain in 25% of the adult women who receive it. Joint pain and arthritis happen more often after MMR vaccination in adults than in children. Women also experience this reaction more often than men. Joint pain or stiffness occurs in up to 1 in 4 of females past puberty who were not previously immune to rubella. Symptoms generally begin 1 to 3 weeks after vaccination but can start much later and can last from just a few weeks or evolve into lifelong chronic arthritis. Recently there has been a disturbing trend where OB’s recommend that pregnant women or women that want to get pregnant receive the MMR vaccine. This is due to concerns over waning immunity to Rubella. We don’t believe that pregnant women should receive vaccinations at all.The National Vaccine Information Center has a wonderful article that describes all of the reasons why. The trend of vaccinating pregnant women against the flu when that vaccine often still contains mercury as well as aluminum and/or squalene as an adjuvant deeply troubles us and has been associated with increased still births and birth defects. 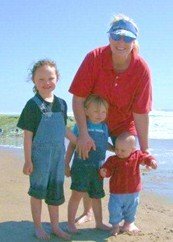 For more information about the dangers of receiving vaccinations either before or when you are pregnant, here are a couple great resources that provide information backed by scientific studies and are not funded by either the vaccine industry, big pharma or associated with the CDC. 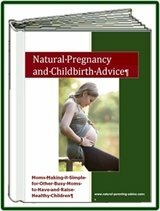 Buy our Natural Parenting and Childbirth e-Book to get all your questions answered and set yourself up for an amazing birth. Join our Pregnancy Forum - ask questions and join the conversation! Get more Questions About Pregnancy answered!